Parliament – The Speaker of Parliament Rebecca Kadaga has blamed Parliament’s poor performance on the lengthy time MPs took to scrutunise and consult voters on the Constitutional Amendment No.2 Bill 2017, now known as the Presidential ‘Age Limit’ Bill, which was later signed into law. Ms Kadaga made the remarks while giving her communication ahead of the State of the Nation Address by President Yoweri Museveni at the Kampala Serena Conference Center. While giving a report on the business that was carried out in the Second session of Parliament Ms Kadaga said Parliament posted a better performance in the 1st session as compared to the previous session. She explained that whereas government had pledged to table 81 Bills, only 11 of them were passed into law with the highest number of Bills coming from the Minsitry of Finance. Among the Bills passed into law included; Biofuels Bill 2016, Constitution (Amendment) (No.2) Bill 2017, Tax Appeals Tribunal (Amendment) Bill 2018, Tax Procedures Code (Amendment) Bill 2018, and the Lotteries and Gaming (Amendment) Bill, 2018. The others: Income Tax (Amendment) Bill, 2018, the Stamp Duty (Amendment) Bill 2018, Value Added Tax (Amendment) Bill 2018, Excise Duty (Amendment) Bill 2018, Traffic and Road Safety (Amendment) Bill 2018 and the Appropriation Bill, 2018. In comparison to the previous session, the 10th Parliament passed 56 resolutions in the 2nd session against the 57 resolutions passed in the 1st Session of the 10th Parliament, while only 117 questions were answered during the Prime Minister’s question time against the 441 questions answered in the Parliament’s First Session. Yet still, Committees in the Second Session produced 29 reports against 30 reports produced in the 1st session while the number of Ministerial Policy Statements considered remained 62. 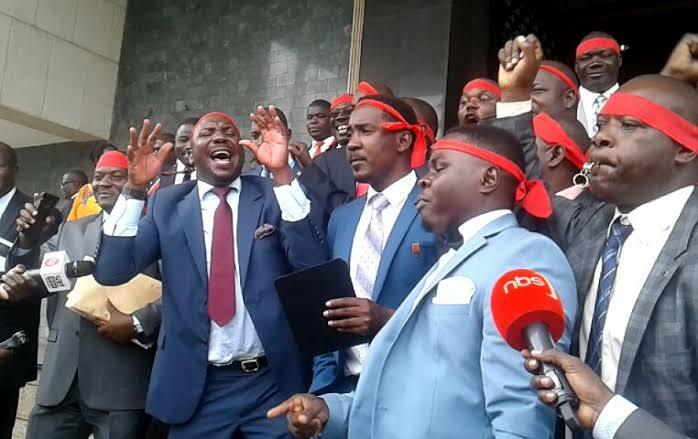 It should be recalled that MPs were each given Shs29m to consult their voters over the controversial Bill, although some MPs opposed to the funds rejected it on grounds that it was illegal and returned the funds back to Parliament.